A SWEET WINE SURPRISING FOR ITS FRESHNESS AND COMPLEXITY: Pale yellow with greenish reflections. Its aromatic expression is not usual in sweet wines due to its exceptional combination of vegetable notes and tropical fruits, memories of fresh cut grass and a hint of minerality. On the mouth there is a pleasant and very fine velvety sensation. It keeps the features of the grape Sauvignon Blanc, a fresh and clean elegance. It is a high intense wine, well-structured and long, round. There is a perfect combination among acid, alcohol and sugar. 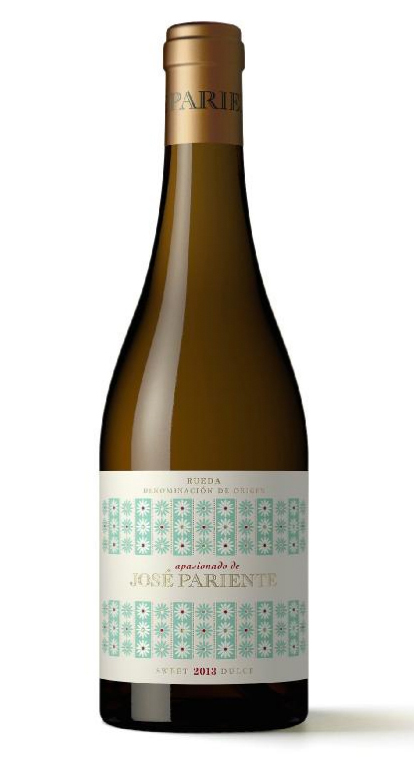 In the 1960s, JosÃ© Pariente began producing artisanal white wines from a raw material of exceptional quality: Verdejo grapes from the vineyards of Rueda. He practised a meticulous viticulture and had faith in his soil, in quality and in the pleasure of making wine. His desire to produce great white wines is the raison dâÃªtre of the present-day winery, which his daughter Victoria Pariente established in 1998. In the visual phase, the wine shows a brilliant straw yellow with greenish reflections. The aroma, of great intensity, is elegant, fresh and complex. It has a markedly fruity tone that spans the range of white fruits (pear, peach), citrus and passion fruit. There are also hints of fennel and garrigue on a balsamic aniseed ground. In the mouth the notes of fresh fruit appear again. Unctuous, sweet and elegant with a slight touch of bitterness in the finish characteristic of the Verdejo variety. It has a big structure that favors its persistence. Pale yellow with greenish hues, its aromatic expression is an exceptional combination of vegetal notes and exotic fruits, memories of freshly cut grass and a hint of minerality. In the mouth it has the fresh clean elegance typical of Sauvignon Blanc. This is a highly intense wine, structured, persistent and rounded. A brilliant straw yellow color with greenish hues. On the nose, it is fine and elegant with a strong minerality. On the mouth, it is a very complex wine of impressive smootheness and silky elegance, with a mineral touch that appears again. Bright and golden yellow to the eye, it has an intense, complex nose, its aromas spicy, slightly smoky, with ripe fruit and a hint of wood. There are also notes of exotic fruits and minerals. In the mouth it is voluminous, unctuous and very elegant. Powerful, with a good acidity that ensures a long and lively passage. It presents a great balance between fruit and wood. Everything that is perceived in the nose appears again in the mouth.